No, this cigar isn’t a tribute to Elvis Presley, it’s the second in an epic two-part series by Caldwell Cigar Co. - among the industry’s newest and hottest cigar brands. You’ve heard the expression - The King is dead. Long live the King - where the fallen King is succeeded by the new, the modern, the next heir to the throne. Long Live the King represents the latter - it’s a sophisticated smoke intended for the modern smoker. To drive the theme home, Caldwell artistically captures the concept, showcasing edgy imagery of a young king (created by Miami-based artist Elio Mercado), combining a gangster/chicano style with a traditional crown of royalty. But enough about how slick the cigars look, because they taste even better! A Corojo Dominicano wrapper has been selected from the ’08 crop, blended to perfection with aged fillers of Nicaragua, Dominican Republic, and Peru - with rare vintages ranging from ’06 - ’09! 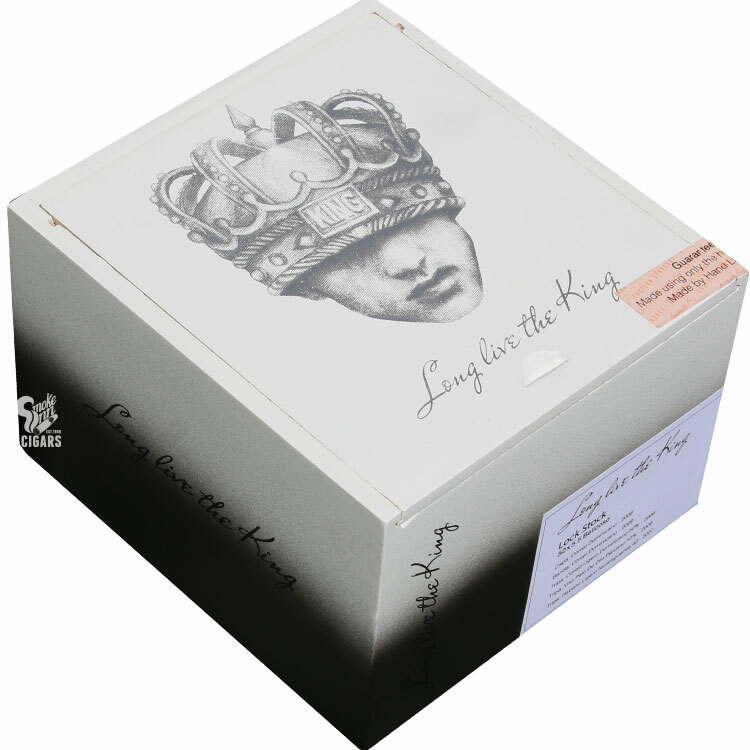 This exciting new series has been designed to smoke back-to-back (The King is Dead cigar and Long Live the King cigar), perfectly complimenting each other with rare tobaccos that are classified as “Grade A”.